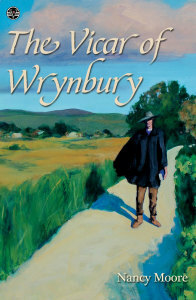 The following is a guest post by Nancy Moore, author of The Vicar of Wrynbury. If you would like to write a guest post on my blog, please send me an e-mail at contact@cecilesune.com. Some characters in books are so well represented and voiced that they seem real to the reader. You can see the look they give when they are frustrated or how that lock of hair hangs over their forehead. You’d know their voice in an instant if you heard it speaking aloud. That effect is not something that happens by chance or luck. It is created and crafted by a very careful and thorough author. How do you create this being from nothing? How do you play God and pluck this trait and that one out of thin air to shape a human (or any type of anthropomorphic being) into not just a believable character, but one that the reader can imagine as clearly as if asked to bring to mind a dear friend? The first thing it takes is knowing your characters yourself. When you start out with an idea and the first images of your character emerge, you need to allow yourself time to get to know them. You are their creator. Your relationship with them is special because only you know them so well that you can dictate their every move. A friend recommended to me a pre-novel interview and I found it really helpful. Sit down, just you and your character(s) and starting asking questions. Where did they come from? Where were they born? How did they become so sad/dishonest/successful/easy-going/blind/fat/fixated, whatever! Sometimes these answers will be obvious. Sometimes they will pop into your head. Sometimes it will take thinking on it. Skip some questions if you don’t get an answer. It may come later. No one says this interview has to be 100% complete and unchanging. It doesn’t even need to net information that becomes part of the story. It can be information that only you and your character ever know. But it gives you a good starting point. When I started “The Vicar of Wrynbury,” I began with my two characters giving their first impressions of each other. This is another way to get some insight into your creation, this time, through someone else’s eyes. Sometimes another view will bring out character traits or aspects that you hadn’t thought would be noticeable or interesting. I asked my character, Anne, what she had thought of Cyril when she first met him. I could just see and hear her say, with a sigh, “Well, he wasn’t what we expected.” And there I had not only a good start on who Cyril was, but I also had the first line of my novel. The interview technique can work well also if you find yourself stuck. How do you bridge two events? What happens next in the sequence? What is a certain character’s reaction to their predicament? Ask them. You’ll find your characters have their own very articulate voice, even if they are the quiet type, or even a deaf-mute! You have the key to their inner thoughts. At one point in my writing process, I found myself stuck. I knew a set of events needed to happen, but I wasn’t sure how. And it felt too rushed to just dive into the action. For several days, I was at a standstill wondering where to go. Finally, I sat quietly and asked my character, Cyril, what he was doing. Oh, he felt pensive! I could just see him sitting and brooding over something. He replied, “I’m waiting, waiting for the inevitable.” And I was off. That was all I needed to get me going. If you take a bit of time to get to know the characters that you create, you can get this kind of inner dialogue. They will speak to you. Not in the “I’m hearing voices telling me to put my hand in the blender” way! If you do, then put writing on hold until you get some psychiatric care. The characters will tell you their story, and you can rely on them to pull you through the rough patches. My last bit of advice is fall in love with your characters, even the bad guys. If you can’t find a reason to love, like, or at least have a soft spot for a character from your story, it’s going to come out as a one-dimensional portrait with which no reader is going to connect. Even the homicidal maniac who runs about indiscriminately butchering everyone in his path needs some of your sympathy. You should understand why he’s demented and what he’s trying to satiate or cleanse himself of with all these murders. Even if you never reveal to the reader the reason why, if you write without knowing and understanding his backstory, it can come out as hollow. These beings you create with words and build on paper have meaning and purpose. Being their creator is important and sacred work. You could be crafting the next Heathcliff or Hannibal Lecter or even Winnie the Pooh. What you really want is for your characters to live on in the minds of readers long after they’ve finished the story. Nancy Moore is originally from Northeastern Missouri and graduated from Truman State University with a degree in mass communication. She's worked in publishing, marketing, journalism, and in the non-profit field. 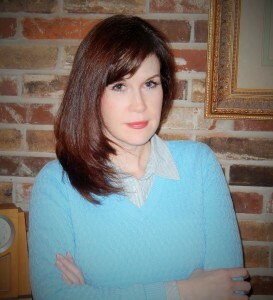 She's dabbled with writing since childhood, winning a few awards for creative writing in her youth. It wasn't until later in life that her hobby developed into a serious pursuit. She is an unabashed Anglophile who loves Harry Potter, Doctor Who, and Sherlock as well as any historical drama series to come out of the U.K. Nancy loves reading historical dramas, horror, biography, and non-fiction historical. She currently lives in St. Louis with "the greatest guy ever," her cat, and dog.